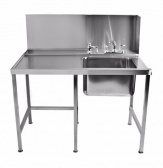 Catering Appliance Superstore stock rugged stainless steel work tables, sinks and basins for use in a commercial catering or food production environment; all units easy to clean and maintain in stainless steel. 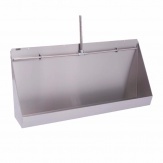 Basic and mixer taps, pre-rinse jets and sprayers available, and a wide range of sink and washing accessories such as standpipes and water filtration equipment. 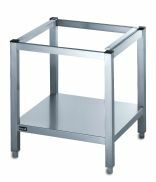 We also stock a range of attractive but durable taps and drinking fountains suitable for installation in public spaces. 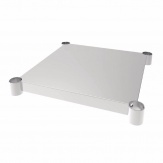 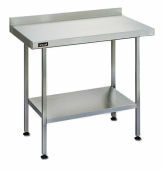 Looking for a stainless steel table?